Optiline, is a quick dry 100% acrylic, lead-free premium waterborne traffic and line marking paint, specially manufactured and formulated for cold weather, excellent dirt pick-up resistance and durability. Optiline is a quick-drying, durable, water resistant and has excellent dirt pick-up resistance for traffic. Product dires to tack-free in 4-5 minutes. Product Advantages: quick drying even in nighttime environment, does not require heating to dry fast, will not crack and remains flexible over time. Requires no thinning, is pre-strained and is environmentally safe and user friendly. 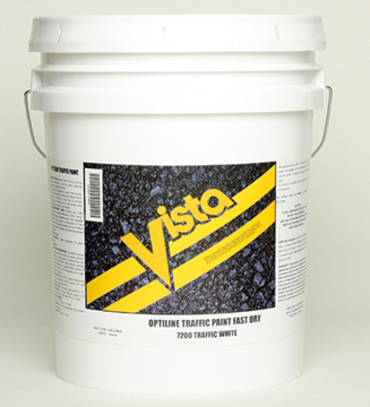 Recommended Uses: Optiline is designed for use as traffic marking, legend identification work & instructional markings on roadways, sidewalks, crosswalks, curbs & parking lots.